22/7/14 – Was a bit of a restless night with a young child crying throughout the night. We got up early to do the Tjaetaba Falls where we had camped. It is a 3.4km return walk over a narrow uneven rocky and sandy path. Just before the falls there is a small bit of rock hopping. 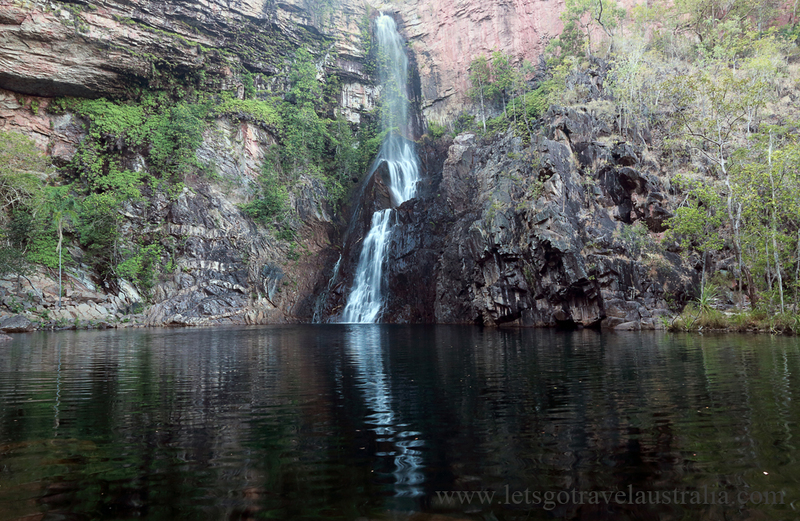 You are greeted with a large plunge pool (not as big as Wangi) with a waterfall flowing into it. We had the whole place to ourselves. Our dip was brief as it was a little cool. 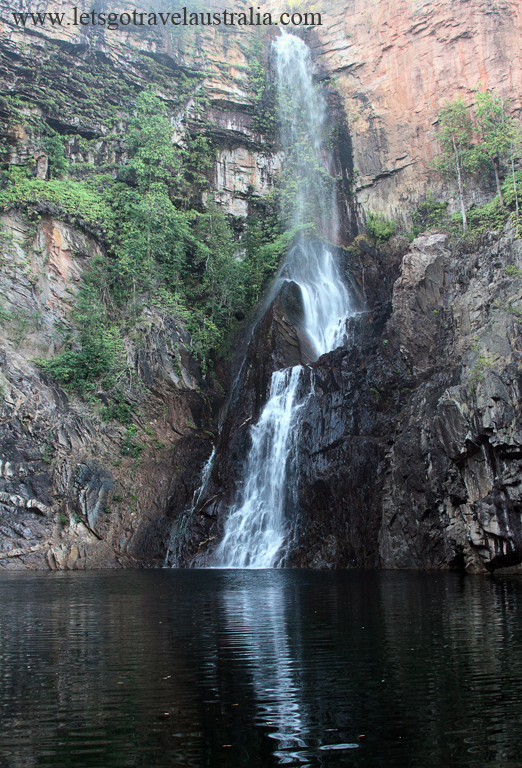 We would suggest doing this fall first, because after you see Wangi and Buley Rockhole it won’t seem as spectacular. 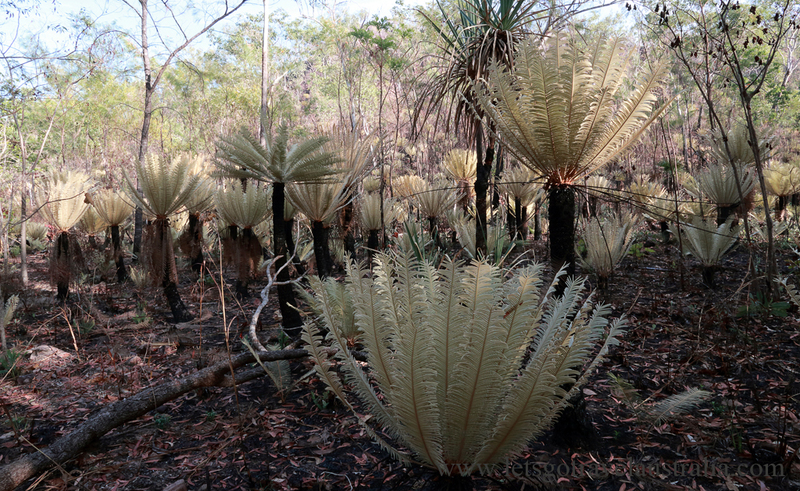 We walked back to camp, packed up, had a cold shower, morning tea and headed off to Darwin. 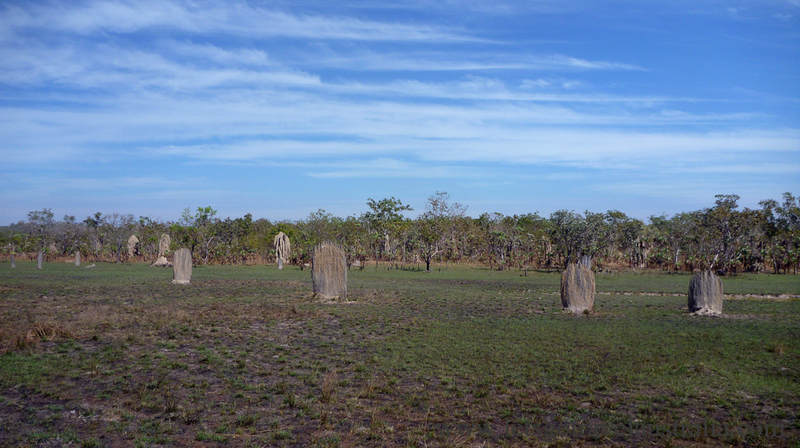 We enjoyed our time in Litchfield National Park, it will be a place we look forward to coming back too. Even though it was pretty busy it absorbs the crowds well. 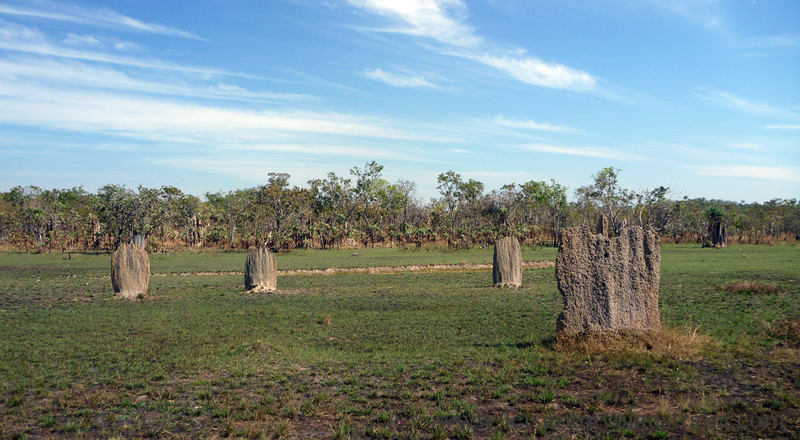 We called in at the Magnetic Termite Mounds, fascinating things. Then it was onto Darwin. We are staying at the Oasis Caravan Park 24km south of Darwin. It’s a small family operated business, very friendly people. The amenities were very clean, washing machines the cleanest we have seen. The sites are cosy, we have a drive through site but have to park the ute at the back as there isn’t enough room at the front. Don’t think the place would cope with too many big vans. Lots of trees and even some green grass. 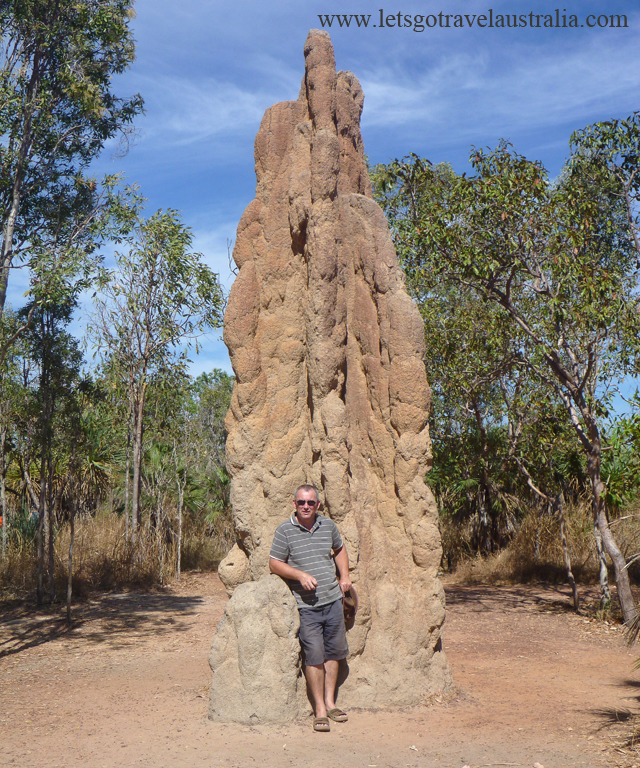 We went into Darwin in the arvo to get a feel of the place and the lay of the land. Went for a walk and did some souvenir shopping in the CBD and had fish and chips for tea at the wharf. Then back home to camp.